We have another fabulous sketch for you this week. I couldn't resist inking up the adorable Friendship Rocks stamp set. This set seriously rocks! I stamped the image on X-Press It card stock and I coloured it with Copics. 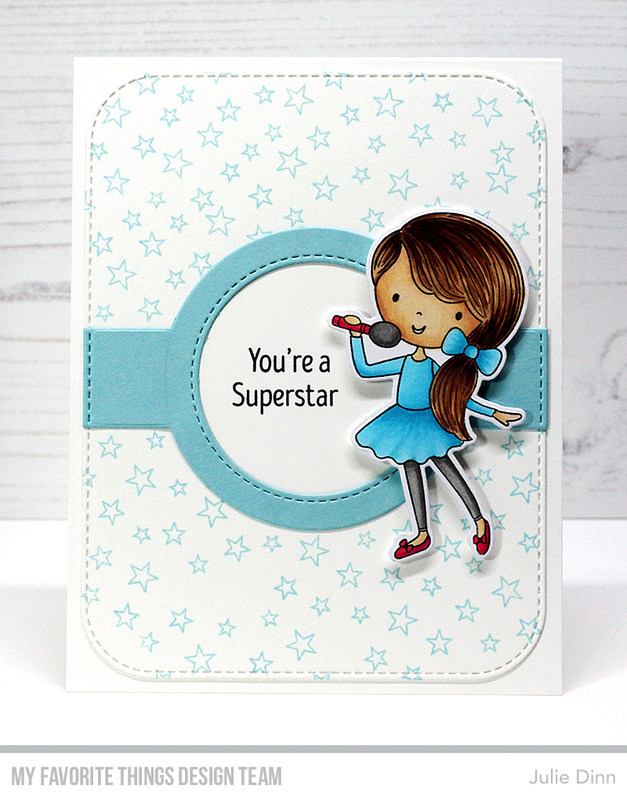 The background was created with one of the small star stamps in the set. Your little girl looks dazzling! Great coloring and wonderful background. Thank you. Your card is adorable! I have 2 little granddaughters & this is perfect for them. I really love this Friendship Rocks stamp set!